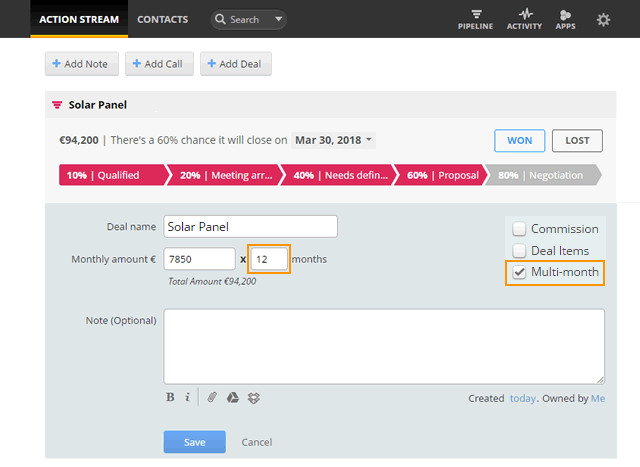 How to create a multi-month deal? Under Options, click on the Multi-month checkbox. Enter the details of your deal (Deal name, Monthly amount and set number of recurring months). Press Save to create the multi-month deal. 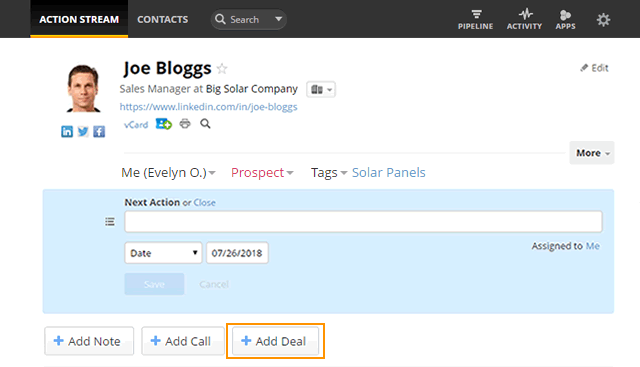 Once a pending deal is created, it's displayed under the specified month/deal stage in the Pipeline.